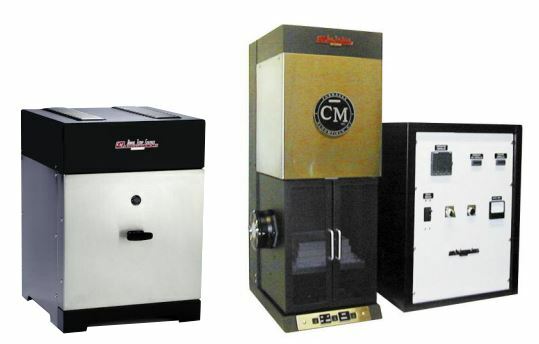 CM Laboratory Furnaces are designed to meet the demands of heavy duty usage in industrial and laboratory environments and are designed for long life and easy maintenance. Our furnaces are used in universities, many National Laboratories, industrial labs and industrial production applications. 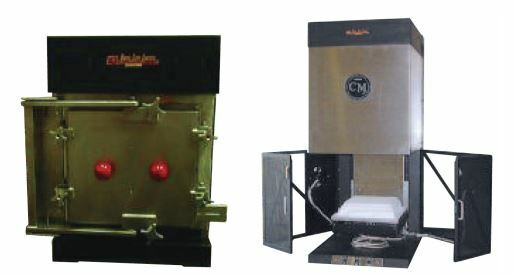 CM Furnaces is about long-term quality. 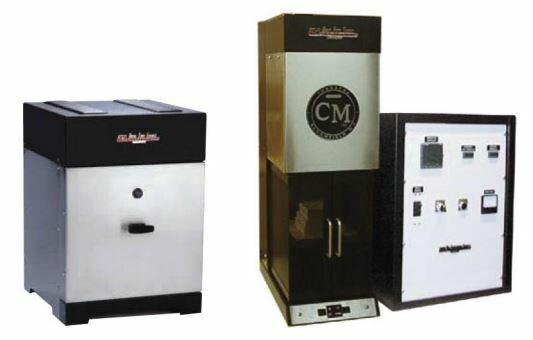 Our furnaces are designed to be in weekly use for several decades. It is not unusual to visit a National Lab like Oak Ridge or Los Alamos and see a CM Furnace from the 1980's. 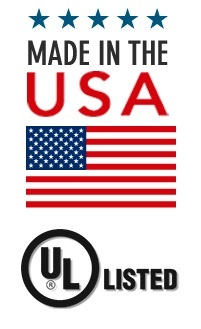 Compare that to much cheaper laboratory catalog furnaces where quality of performance and durability are lacking. Standard configurations including horizontal and vertical tube, front loading, bottom loading with elevator. Our furnaces incorporate a graded insulation package using high purity alumina fiber. The rugged steel shell is hinged for easy access inside the furnace and differentiate us cheap imports. 1000 Series Tube laboratory furnaces to 1200C (2200F) featuring lightweight fiber insulation and separate half round ceramic plate heaters. Standard construction includes a rugged hinged steel shell, unheated vestibules and single or multi-zone configurations, as well as mounting brackets for either horizontal or vertical operation. 1200 Series Box furnaces to 1200C (2200F) featuring alumina fiber insulation and separate ceramic plate heaters on four sides for unparalleled temperature uniformity. Ruggedly built for reliability and long life. Ideal for use in the laboratory or for small production. Standard air operation is available with a high temperature metallic retort for inert and hydrogen atmosphere applications. 1300 Series Diffusion tube furnaces to 1300C (2372F) featuring lightweight fiber insulation and a continuous heavy gauge element winding. Standard construction features a round stainless steel outer shell and end caps. Single and multi-zone configurations offered along with universal mounting pads for horizontal or vertical operation. 1400 Series Gradient tube furnaces to 1700C (3100F) featuring lightweight fiber insulation and a platinum alloy element winding. All 1400 Series furnaces include polished stainless steel shells and end caps as well as high purity recrystallized alumina tubes. Selective shunting provides control to allow gradient profiles for particular applications. Three temperature levels are offered including 1425C (2597F), 1540C (2804F) and 1700C (3100F). 1600 Series Tube, box and custom configuration laboratory high temperature furnaces with a maximum continuous operating temperature of 1600C (2900F) in air. The 1600 Series utilizes high purity alumina fiber insulation and Kanthal molydisilicide heating elements. Ideal for rapid heating and cooling rates and available in gas-sealed configurations for inert atmosphere applications to 1500C (2730F). 1700 Series Tube, box and custom configuration furnaces with a maximum continuous operating temperature of 1700C (3100F) in air. The 1700 Series utilizes high purity alumina fiber insulation and Kanthal molydisilicide heating elements. Ideal for rapid heating and cooling rates and available in gas-sealed configurations for inert atmosphere applications to 1600C (2900F). 1800 Series Tube, box and custom configuration furnaces with a maximum continuous operating temperature of 1800C (3270F) in air. The 1800 Series utilizes high purity alumina fiber insulation and Kanthal molydisilicide heating elements. Ideal for rapid heating and cooling rates and available in gas-sealed configurations for inert atmosphere applications to 1700C (3100F). Gas Control System for High Temperature Tube Furnace Systems Atmospheric Furnace Gas Control System using mass flow controller, vacuum pump (optional), and computer. 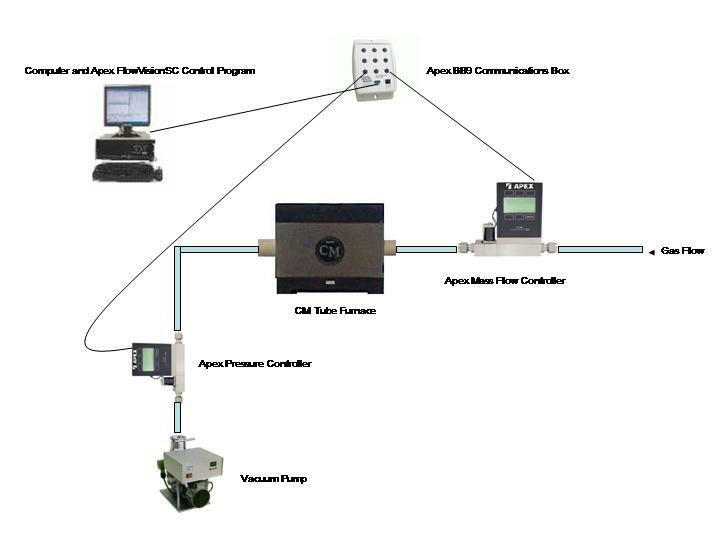 You can use multiple mass flow meters, controllers or pressure controllers for a controlled atmosphere. Windows-based software is available or you can set the control parameter directly on the unit.